Bobtail / Straight Truck services are available for moving skids or pallets of freight. All our trucks range in size between 16' and 24' in length and will accommodate up to 12 skid/pallets per delivery. Each truck comes equipped with a lift gate and a pallet jack. All our CDL drivers are uniformed, insured and bonded. We offer competitive rates for same day or next day service throughout Texas. Our Bobtail/Straight Trucks will deliver your goods on time, every time. Contact one our account executives today, to get a rate quote. Stake Bed services are available for moving skids, pieces, piping, or pallets of freight. All our trucks range in size between 10' and 16' in length and will accommodate all of your delivery needs. All our drivers are uniformed, insured and bonded. We offer competitive rates for same day or next day service throughout Texas. 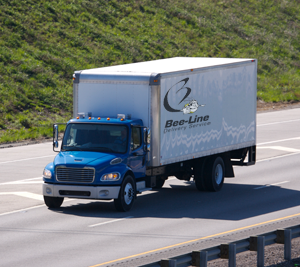 Our Stake Bed Trucks will deliver your goods on time, every time. Contact one of our account executives today, to get your rate quote.